Reducing my screen time has opened up a window before bed to read and now that I am in the routine my bank account can’t keep up! I devour books and often got in trouble when I was younger for eating them. Did you have a book club at school? In Australia we had one where you got a brochure and could pick which books you wanted to buy. I remember pouring over this for hours selecting and reselecting the books I wanted. Then asking my mum what the budget was and refining further! At one stage I know I had hundreds of books and later in high school when we were taught to speed read it shocked everyone that I could read 998 words per minute with a 98% accuracy. 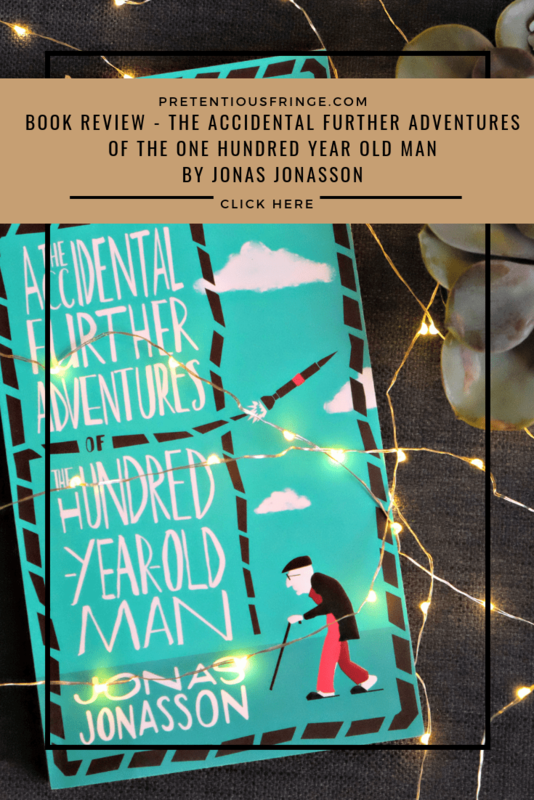 To try and plug the gap and keep the momentum I joined my local library and borrowed The Accidental Further Adventures of The Hundred Year Old Man by Jonas Jonasson*. When did you last visit a library? I hadn’t been to one for over seven years. It was only because I walked a different way to the station that I spotted my local. A search on the internet and I had printed the application alongside my proof of my address. It only took a few minutes on a Saturday to have my membership stamped. Whilst I waited I perused the new books section and found The Accidental Adventures of The Hundred Year Old Man. Excited I grabbed it immediately should someone else see it too! I have read all of Jonasson’s previous works including my favourite, the first of this series, The Hundred Year Old Man Who Climbed Out of The Window and Disappeared. Continuing on from this previous book, The Accidental Adventures starts off reintroducing us to the two main characters, Allan, aged over 100 and Julias, aged younger then Allan! Having survived their previous adventures with a briefcase full of cash, the duo have settled in Bali for the endless sunshine. After a year though, they both have itchy feet. Allan craves another adventure and Julias, a serial criminal, wants to scheme and steal again! A hiccup with a hot air balloon sees them sailing across the sea with three bottles of champagne to be rescued by a North Korean ship. With the ship secretly carrying a cargo of uranium Allan and Julias have no choice but to travel to the communist country. Jonasson add current affairs into his stories and has Allan enrage Trump, resulting in a twitter tirade and Julias mixing up a coffin delivery that upsets the local German Nazis. If you love a book with twists and turns, that cleverly makes you relook at current world events, this is for you. Let me know if you read it and what your thoughts are. *This is an affiliate link. To learn more click here.